As part of our new summer US project States of Independence, we've invited our favourite 30 American curators, magazines, creatives and institutions to take over Dazed for a day. Today, kicking off our State of Fashion week, it’s the turn of Telfar – the NYC-based brand pioneering the 'Extremely Normal™' and using the digital in ways that are lightyears ahead of anyone else. Watch out for hacks around the site and a pop quiz with brand founder Telfar Clemens. It took a typo for me to see the likeness between designer Telfar Clemens’s logo and the registered trademark symbol. Rather than Telfar, my fingers kept pressing out Teflon—as in the synthetic non-stick, Teflon® by DuPont™ (“Nothing Messes With It”). The mistake made me smile just like Telfar’s round laugh does, as Telfar is such a brand, and of course my unconscious is smarter than wakeful me. Telfar’s logo: a capital-T cupped in a perfectly-circular C. It looks like a ® or a © but open a touch, the circle is; Telfar is open. For those needing to know, or wanting it repeated, Telfar Clemens is a New York-based menswear designer. 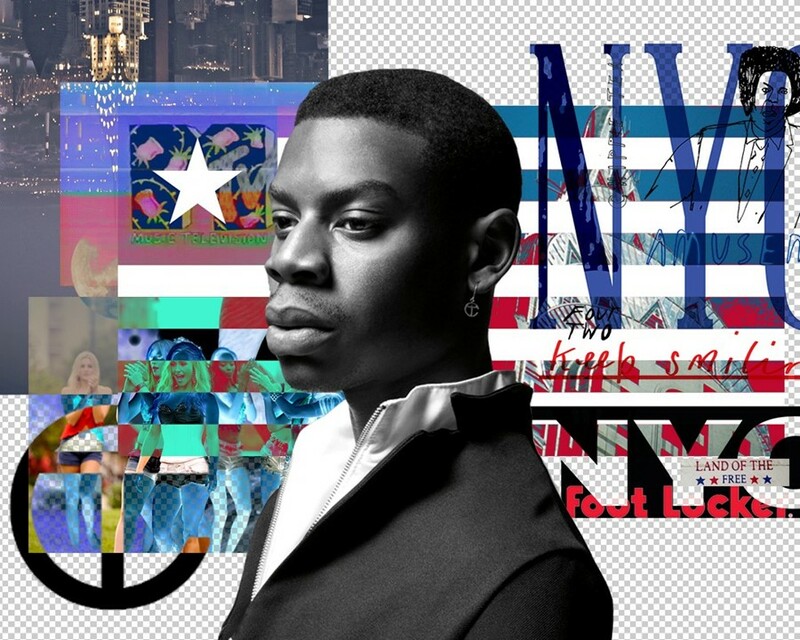 He was born in 1985 in Queens, New York, and grew up in Liberia, West Africa, as well as Maryland, and other New York boroughs (Manhattan, Brooklyn). New York is and always will be “home” for Telfar. He loves it. He, “loves American culture.” He loves its democratic ideals and its industry. 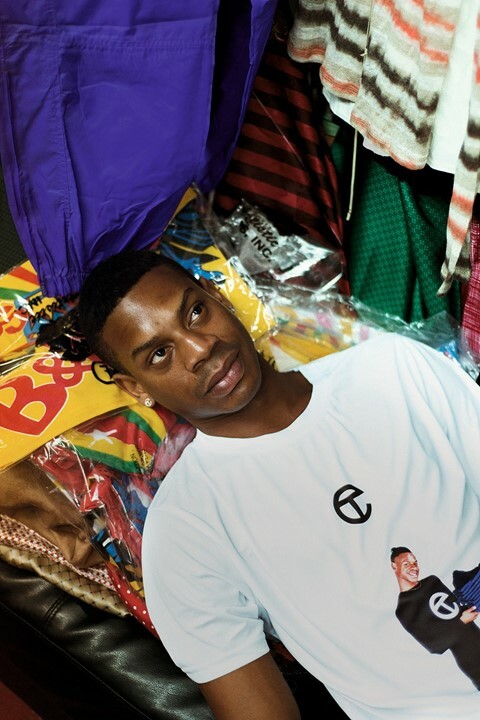 Telfar has been designing his namesake collection for coming on a decade. In the last couple years, his work has become increasingly large-scale and ambitious. Last season, for AW 14, he took over two floors of the New Museum with a pop-up shop, runway presentation, and video installation. His upcoming SS15 show, he claims, will be his biggest yet. We can’t hardly wait. What is your favourite quote about America? Telfar Clemens: Independent, forward, and progressive. Which living American do you admire and why? Telfar Clemens: Like right-right now, I’d say it's a spirit or a group effort that I admire more than any one person. I don't know if it's reality TV, or maybe it’s because of the Internet, but it just seems like people are on the same page of thinking about how the world should work. We’re more PC in the way we deal with situations, more knowledgeable about social etiquette, and more level-headed. Telfar Clemens: My first break – I would say it was one of my good friends, Bajun Riddick. He was a buyer in a Lower East Side shop in 2003. I was designing these remade vintage clothes, and he was the first one to be like, “give me a couple of shirts.” And he sold out of them. That's when I realized what I was making was valuable. From that, I got different accounts and began to do a full collection. What was the shop called? Telfar Clemens: It was called La La. I think it was actually Funky. Yeah, F-U-N-K-Y LA LA. The shop was on Orchard Street. It was around the same time that the boutique Seven was in that neighbourhood too. The Lower East Side then was really fun for me. I remember running around that street like six times a day. What do you think is the most overrated and underrated tourist attraction? Telfar Clemens: I would say any tourist attraction is overrated. When I go somewhere, I’m like take me to where people go every single day. I don't want to go where every single tourist is. I've always skipped tourist destinations. Like, I've never even been to the Statue of Liberty. I always told my parents I'd rather be at the mall. Wherever I can get really good clothes would be my ultimate tourist destination: a market or a Foot Locker. What high school clique where you part of? And do you stay in touch? Telfar Clemens: I wasn't really clique-y in high school. I was always working on finishing really early and starting my business. I was a pretty ambitious teenager. I had that syndrome of you need to be famous by fifteen. I wanted to be retired by thirty. Telfar Clemens: Ha. I’ve got some more to do, a lot more to do. My goals and ambitions are a bit different as an adult. What's your favourite American building? Telfar Clemens: The Chrysler building. People always confuse it as the Empire State Building, but the Chrysler building is sort of a monument, the old girl. Telfar Clemens: My ultimate American guilty pleasure is definitely the TV here. I love what’s happening with TV right now. I'll watch any show that has “wives” at the end of it. I love Nashville. VH1, Bravo, MTV, MTV2 – it's like I can just watch anything. Telfar Clemens: I can't really compare my experiences with any American tale. I guess I’m making up my own story. Do you have a favourite slang phrase? Telfar Clemens: I say “cool” a lot. I kinda get everything, and I think it's really funny to know how up to date everyone else is, to know what’s trending. But I try and not pick up too many new things. If anything, I'm trying to clean up my slang, to keep it corporate casual. What American law would you change or invent? Telfar Clemens: I would change the law of making a law. Also, people shouldn’t be punished so harshly for things that are misdemeanors. I feel like when I travel, the laws abroad are more lax. For petty crimes, at least. Like, oh you ran a stoplight or you didn't pay for the subway – it’s laws for things like that where people in the States get tackled to the ground and slammed to the floor. Telfar Clemens: I mean, that’s yet to be seen maybe. But, within the US, I'd say it's when I went from New York to Richmond, Virginia at eighteen with a lot of people from DIS. We went to this like squatter punk, bike rally festival called Best Friends Day. I just remember having a really really really good time at this crazy water park. Like swinging off of cliffs into the ocean – things that I can't really imagine doing now without like a lot of liquid courage. Telfar Clemens: I would probably say war; I'm not really into violence. I'm not like the person who's gonna fight to stay somewhere. Or, I’d leave if for some reason if I had to go somewhere else to complete a task or goal that I had. But I'm pretty into being here. I always say that when I travel, no matter where I am, I’m always so happy to come back to New York, I love American culture, it's what I understand best. Special thanks to Art404 for their work hacking the site – and creating gifs like the one of this charming Telfar model.